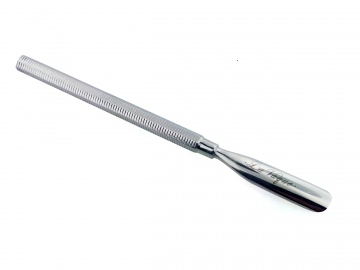 Pusher has curved edges for gentle skin. 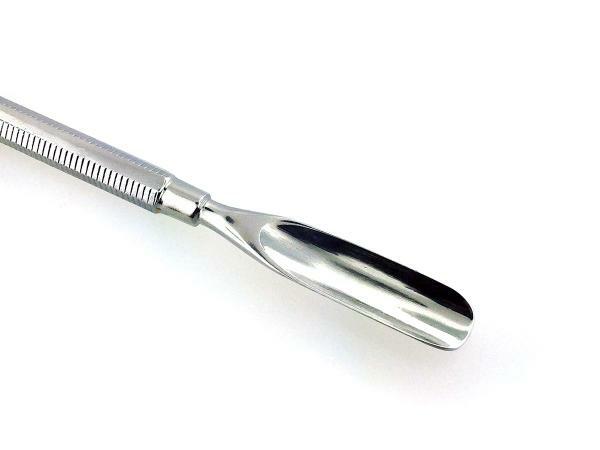 Gently work the front contour across the center of the nail bed to remove cuticle and debris. Preferably use our Cylinder Curette to remove cuticle and debris from the edges of the nail bed.